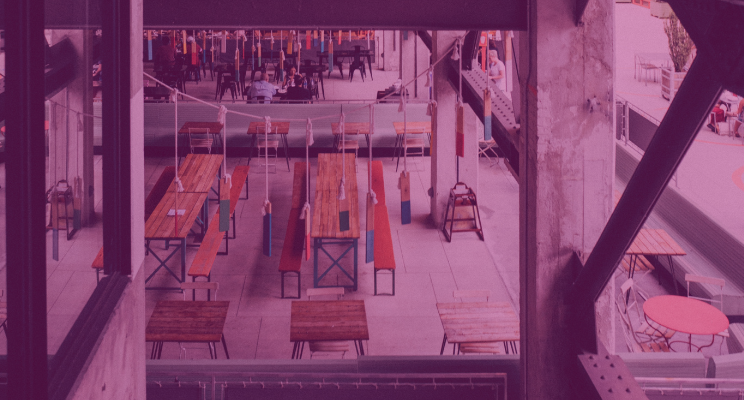 Visibility and information are critical to management — this is particularly true for the complex and challenging nature of facility management and maintenance. 3D laser scanning, point clouds and the resulting 3D models deliver a robust means of obtaining site information. For facility managers that lack up to date models, this can be a key investment. Without complete and accurate information, mistakes are often made, opportunities are missed and productivity is impacted. Luckily, the cost of commissioning a point cloud survey is becoming more attainable. This article will detail what you need to look out for when engaging with surveyors and what quality information about your facility delivered by a 3D point cloud survey will enable you to achieve. Documentation about machines, piping, electrical equipment and past refurbishments are not always kept in a centralised system. The worst case scenario is that this information might not be stored at all and only understood by certain employees with historic knowledge. This can be a headache for planning and maintenance, particularly for new management. A 3D point cloud survey allows facility managers to manage a site from a more informed position. You are able to gain a detailed view of existing structures and machinery with the same level of accuracy that design-first BIM (Building Information Modelling) schematics deliver the managers of newer facilities. Point cloud surveys also enable the updating of existing models when renovations are made. Information can be added directly to models, often using the same software needed to view them. If machines are replaced, areas can be isolated, rescanned and updated into the central database. This allows for the maintenance of a central database that can be accessed using intuitive 3D models. Beyond centralisation, a major asset of digitising information is making it easier to access. 3D models are easy to use, intuitive and provide an excellent platform for the storage and viewing of detailed information about machines without requiring staff and managers to master the skill of reading architectural and technical schematics. The two biggest assets of centralising and digitising facility information are improving maintenance and crisis control. When a problem strikes, managers can look at their facility in 3D models and filter the presented information to reflect certain categories of machinery or infrastructure. If there is an electrical fault, for example, a manager can look solely at the electrical services in a particular area and share location and structural information directly with repair teams. Obstacles or high risk zones, such as water mains, ducting or pipework can be identified and relayed to the ground teams. Detailed 3D facility models can also help keep machinery working at peak capacity. 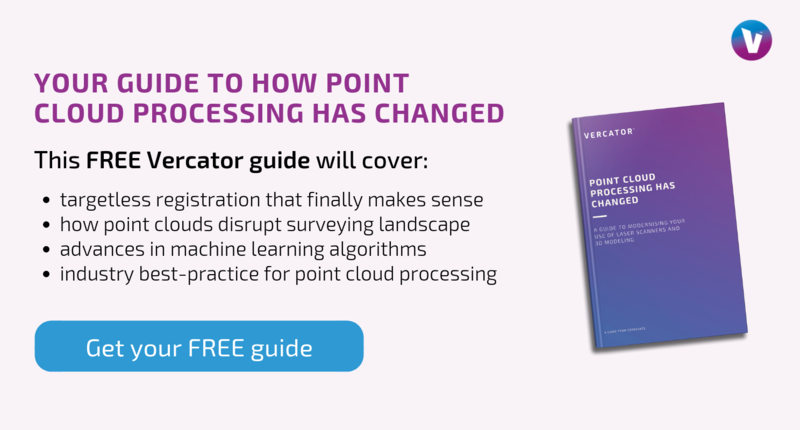 The visibility offered by point cloud surveys can be partnered with predictive maintenance technologies such as airborne sound analysis, thermal video analysis or x-ray cameras. This approach to facility management is poised to fundamentally change how industrial maintenance is undertaken. Predictive analytics allow for machines to be pushed harder and longer, keep maintenance cycles low while also avoiding stoppages. Buffer periods are no longer needed to prevent a fault, and machines are allowed to run at full capacity longer — enabling plants to get the most out of investments. The key to the effective implementation of this technology, however, is centralised visibility in digital models that can be paired with predictive instruments. For newer facilities with design-first BIM schematics, this is not an issue. Older facilities can catch up using 3D point cloud surveys and deliver efficiency improvements across the board. Point cloud technology is a developing landscape. The reason that every facility in the world does not already have an ‘as-built’ point cloud-enabled computer model of their infrastructure is that the cost has historically been prohibitively expensive. Things, however, are changing. The aspect of point cloud creation that has always created inefficiencies is processing ‘registration’. This is the procedure that surveyors must go through to align 3D laser scans, ‘stitching’ together the many scans they take to cover an area into a single map. This has either required the use of manually placed ‘registration targets’ or manual in-office procedures to account for the complexities of ‘targetless registration’. Developments in processing software have delivered multi-stage, vector-analysis techniques that have increased processing speeds by 40%-80% (depending on the size of the data set). Perhaps more critically for surveyors, they have been enabled to queue up scans for hands-off processing — greatly improving the efficiency of the entire procedure. Surveyors who have embraced this technology can deliver equally robust products faster and more easily, keeping down costs and opening up the ability to gain total facility visibility to managers of ever smaller locations. As the point cloud survey market matures, facility managers have more opportunities to improve their infrastructure management. It is important for facility managers looking to commission a point cloud to make sure they are partnering with surveyors who are delivering the most efficient technology their field has to offer. 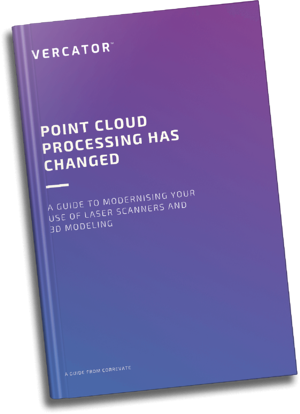 The ability to commission a point cloud survey to create 3D facility models has been enabled by the more affordable costs that have occurred as the market matures. Advances in multi-stage, vector analysis have automated and accelerated the point cloud registration process. Facility managers, and anyone looking to commission a point cloud survey will expand their opportunities by looking to partner with surveyors who embrace this developing technology.